Bff’s forever? 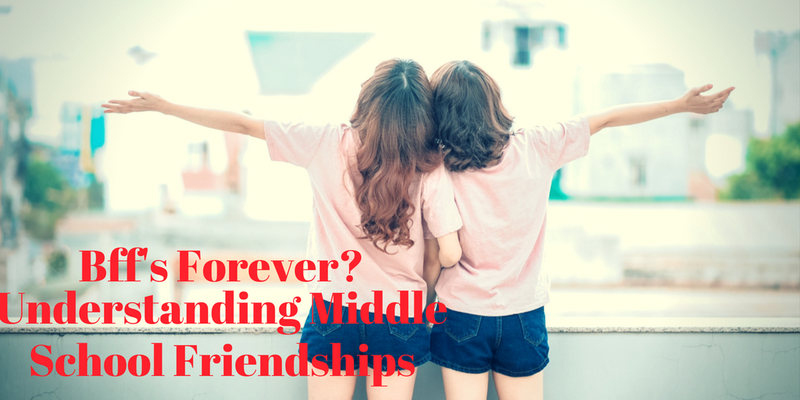 Understanding Middle School Friendships. Tweens change friends often- this is part of growing up and should be expected. Some of these changes may be difficult (especially if they were not the one who initiated the change). However by knowing why these changes occur, parents can be more helpful (and calmer). Read this article to understand the reasons kids’ friendships change so often and how you can best support your children in the process.